Sun and fun down under…sounds like bliss, doesn’t it? And no one brings you sun and fun like Monograms! On this 11-day vacation, we’ve arranged your hotel reservations, sightseeing, daily breakfast, and transfers from/to your hotels to/from the airports for your intra-vacation flights. Plus, you’ll have a Monograms Local Host ®-someone who knows the ins and outs and is there to ensure your vacation goes smoothly-to answer your questions, arrange optional activities, and offer suggestions for shopping and dining. Your vacation begins the moment you arrive in Sydney, where we can seamlessly whisk you from the airport to your selected hotel. Your guided sightseeing in Sydney with a local expert includes photo stops at the world-famous Opera House and Sydney Harbour Bridge. You’ll also have a full day to explore Sydney on your own (with the support of your Local Host of course). You may want to climb to the top of Sydney Harbour Bridge for amazing views; explore the cobblestone streets at the Rocks, the harborside area where the first convicts settled; or visit Hunter Valley to sample Australia wines. Then, we’ll take you to the airport so you can fly to the Gold Coast, a tropical paradise known for its white-sand beaches. From the Gold Coast, you’ll take an included excursion to Mount Tamborine National Park, where a guided rainforest walk takes you to a tropical waterfall. Keep your eyes open for native wildlife. Monograms has also arranged a local wine tasting and a visit to the Gallery Walk, where local artists showcase their works. In your free time at the Gold Coast, you may want to soak in the sun on the white-sand beach, visit Currumbin Wildlife Sanctuary to feed a kangaroo or cuddle a koala, or enjoy the Gold Coast’s thriving food scene. Finally, you’ll fly to Cairns and be transported to Port Douglas, a beachside town surrounded by rainforest and the Coral Sea. 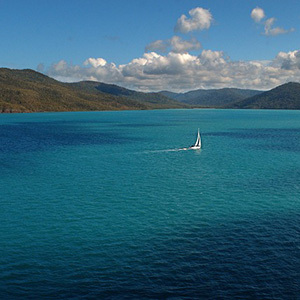 Here, you’ll have the experience of a lifetime when you board a catamaran and cruise to the Great Barrier Reef, one of the Seven Natural Wonders of the World. You can choose to snorkel, take a semi-submersible watercraft tour, or attend a presentation by a marine biologist. This underwater world, with its brilliant colors and fish swimming around you, is nothing short of spectacular! With your two full days of leisure in Port Douglas, you may want to stroll on Four Mile Beach, browse the shops in downtown Port Douglas, or visit the Daintree Forest, the world’s oldest living rainforest. Australia’s Gold Coast is the ideal holiday place for people on the go, or on a go-slow. In one day you can enjoy surfing on golden beaches, bushwalking in subtropical rainforests, cruising down oceanfront boulevards in a fun convertible, or taking a dinner cruise aboard a luxury yacht. A 44 mile spectacular scenic drive north from Cairns brings you to the world famous seaside village of Port Douglas. An international holiday mecca, Port Douglas has a distinctive “laid back” low rise tropical old world charm, an extensive range of accommodation options, and a world class array of restaurants and shopping, and is regarded as the most convenient base from which to explore the northern areas of the Great Barrier Reef and rainforest coast of Daintree and Cape Tribulation.